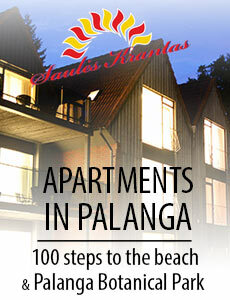 "Vila Uosis" - new, modern and comfortable guest house in Palanga. 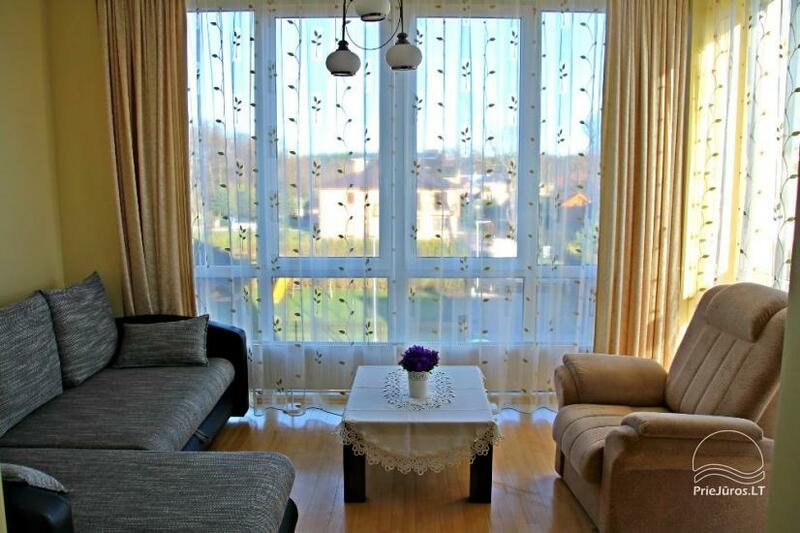 For special style and cosines has a high rating of guest house. A house next to the pinewood is mostly liked by families and friends companies. There is a parking lot in front of the house. There is a supermarket and coffee-house next door. Walking straight from our guest house though the pinewood and sea-bank, you reach a sandy seacoast. A rest by the sea will give you back your strength and wellbeing. We wish you a wonderful rest by the sea! 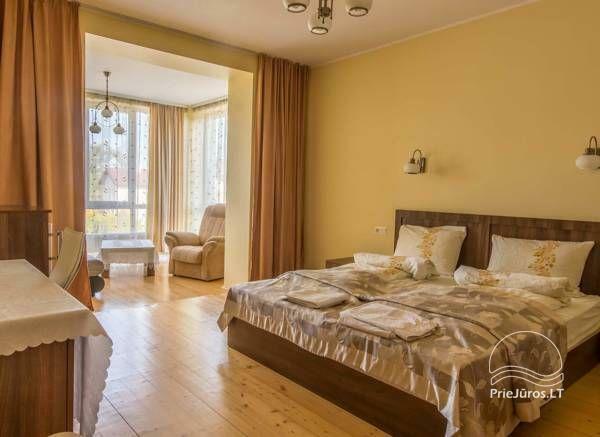 We invite you to have a peaceful rest by the sea and have a good time in Palanga staying at guest house Vila Uosis, which is located at Sermiesčio str. 8, Palanga. We can offer you well equipped and neat rooms. There is a place for parking so you won’t have to worry about it. Only 5 minutes walking to the sea. That can be a terrific rest by the Baltic Sea. Possible long term rent during winter season (house is heated). Comfortable and modern guest house has twelve assorted rooms. 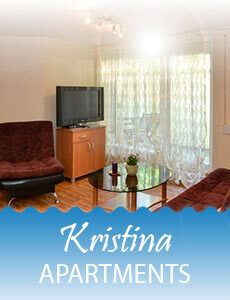 Rooms are well equipped for families and on request there is a possibility to set a block of rooms. Some of the rooms has a mini kitchen, each floor has a fully appointed common kitchen. Each room has cooler, dishes, TV. Each bathroom has shower cabin, toilet and towels. For your convenience – big yard with parking places. 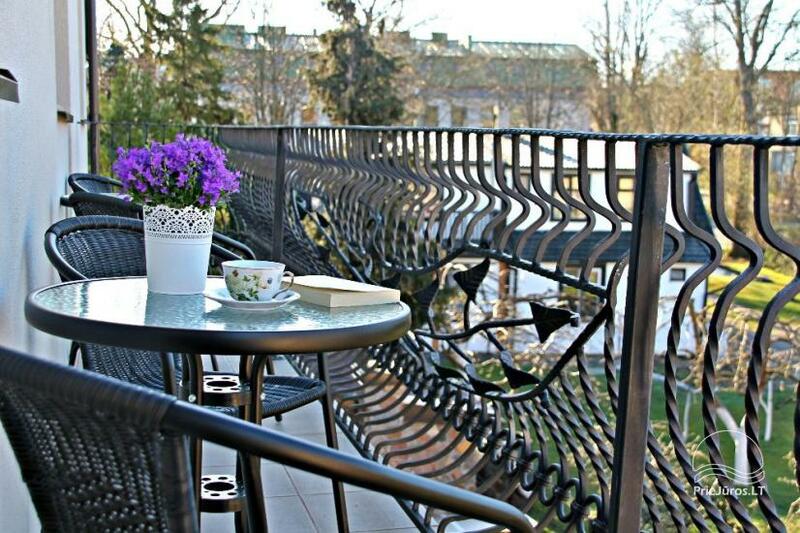 There are three lux rooms with separate terrace. There is a wireless internet available in guest house premise.. 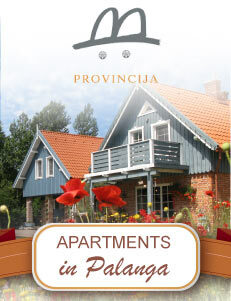 There are two apartments at Vila. 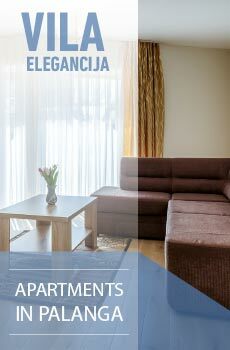 Apartments have separate entrances, balconies with outdoor furniture. 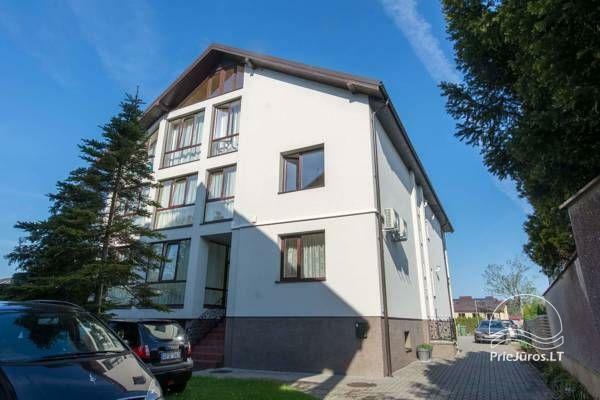 Ground floor – 50 square meters. Consists of bedroom, living room and kitchen put in one space and bathroom with shower and WC – in other. 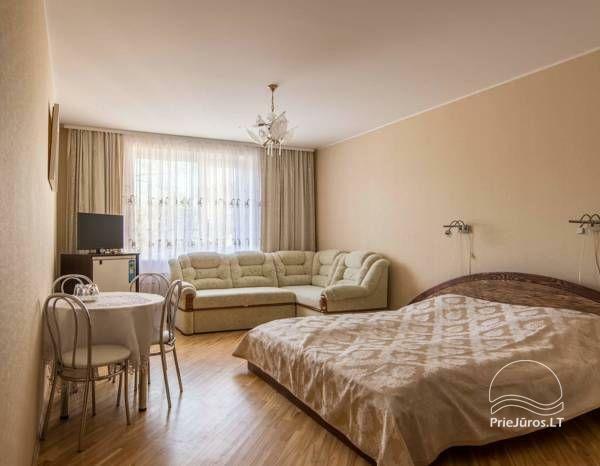 First floor – 50 square meters. Consists of two separate rooms: bedroom and living room with kitchen put in one space. Bathroom has shower and WC. Apartment has a balcony.